Education Completed schooling from the Welham Girls School in Dehradun's Degree from Delhi University. PG Diploma in Spanish Art and Literature from the Havana University, Cuba. Ambika Soni is a Congress Party leader and a member of the Rajya Sabha from Punjab. She has served the Indian government in various capacities including as the Minister of Tourism, Minister of Culture, and Minister of Information & Broadcasting. She has recently resigned from the cabinet and has been given the role of strengthening the Congress party for the upcoming Lok Sabha elections. Ambika Soni was born in Lahore (Pakistan) on 13 November 1942. Her father, Shri Nakul Sen, was an ICS Officer. After completing her schooling from the Welham Girls School in Dehradun, she went on to pursue a Master's Degree from Delhi University. She further pursued courses in Advanced French from Alliance Francaise in Bangkok and a PG Diploma in Spanish Art and Literature from the Havana University, Cuba. She married Uday Soni, an Indian Foreign Service officer in 1961. Ambika Soni's career started as a volunteer in the Congress party in 1969, introduced by the Congress leader Indira Gandhi. Between 1969 and 1972, she held several posts within the party and was also the co-incharge of Congress Foreign Affairs Department. At the end of 1972, she was appointed as the General Secretary of Indian Youth Congress (IYC). After a stint of three years, she went on to become the President of IYC in November 1975. This was a crucial phase in her political journey as she came in close contact with Sanjay Gandhi and worked under his leadership. Ambika secured a seat for himself in the Rajya Sabha in March 1976 for the first time, and she still remains a member of the Upper House. In 1996, she became the president of Punjab Pradesh Congress Committee. Ambika rose to national prominence in 1998, with her appointment as the President of the All India Mahila Congress. From being the member of Committee on Defence from 2000 to 2001, to doling out her responsibilities as a member of the Committee on Home Affairs, she contributed to different sectors of governance. From 1999-2006, she also fulfilled her commitments as the General Secretary of the All India Congress Committee. In 2006, Ambika was chosen as the Minister of Tourism and Minister of Culture. The three-year stint was replete with reforms and aggressive campaigns that saw a significant change in the country's tourism scenario. Ambika was given the challenging role to head the Ministry of Information and Broadcasting in 2009, during the regime of the UPA II government. 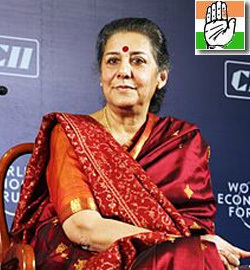 The success of the 'Incredible India' campaign is attributed to Ambika Soni. It is under her aegis that a fresh approach was taken towards turning the Indian Tourism Industry into a revenue generating industry. 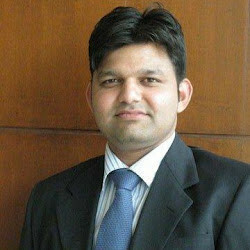 The campaign led to 10%-14% growth in the tourist traffic in the country. Congress party has leveraged Ambika's political acumen and trusted her as one of the major trouble shooters. She was given the responsibility of enforcing discipline within the Kerala Congress unit. During her tenure as the Information & Broadcasting Minister she faced criticism for her stand on self-regulation for electronic media. The ministry was brought under the scanner for not being able to put 'paid news syndrome' under control. The demand for a regulatory mechanism and a statutory body on media regulation escalated as critics cited that media 'had lost a sense of propriety' and 'worked only as a commercial enterprise.' Ambika maintained that external regulations of electronic media will not resolve the issue. Delay in digitization of cable was another issue that marred her achievements to some extent. Despite the fact that the initiative gained momentum during her role as the I&B Minister, the methodology caused bottlenecks in its implementation. Ambika Soni was recognized as the 'IMPACT Person of the Year 2012' by an industry body for, ushering in reforms in the media and promotion of self-regulation for electronic media.